A page on your site that continues to draw new visitors via Google. That sounds like the ideal solution for your SEO strategy. But creating evergreen content is harder than it seems. What is the smartest approach? And is it worth the effort? 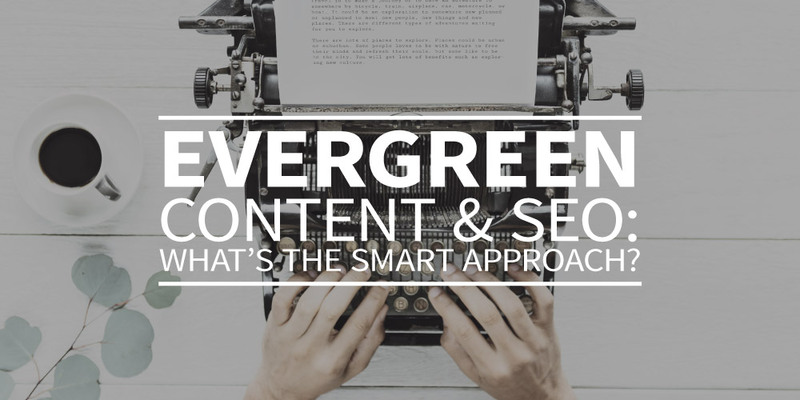 In this article, you’ll get an extensive introduction to an effective evergreen content strategy. Toto’s Africa can safely be considered an evergreen. These past years it’s even been on the rise in the streaming and download charts. But the band probably didn’t consider at the time of its release that it would become a timeless classic. For evergreen content, that’s not quite how things work. The writer considers in advance the timeless character of any given piece. It doesn’t need to be terribly catchy, as long as it offers an answer to a frequently asked question. Type Africa into Google, and you’ll get the Wikipedia page about the continent: classic evergreen content. Niche explainer Wikipedia doesn’t cover every single subject. A search for “mint sauce recipe” brings up this page from 2001 (!) as one of the top results. In internet years that’s positively ancient. How-to articles are super popular. 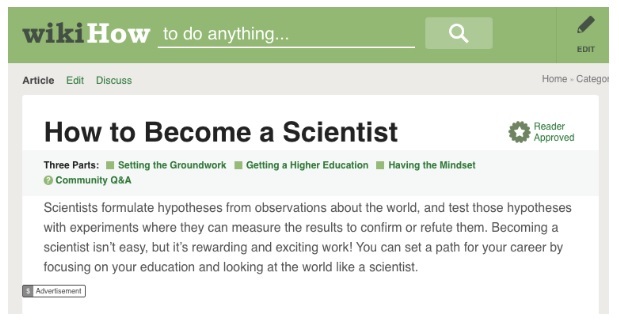 Wikihow has illustrated examples of how to write that type of article. Multi-step plans or checklists also fit into that category. Not every how-to piece has staying power, however. An article on how to bake bread will stay relevant for longer than an explainer on how to play your way through GTA IV. An interesting variation on the how-to is the how-not-to: use examples from the past to lay out the worst way of tackling a problem. In some cases, you’ll be on the hunt for useful resources, like free stock photos. This 2014 article by Dustin Senos on Medium still pops up in 2018 Google searches for “find the best stock photos” – with now over 13,000 claps (likes) and countless views. A proven strategy is to create an extensive (and frequently updated) article that includes links to free resources for beginners but also to offer information about your own service/product for anyone looking for more. Anyone who’s been publishing online for years will most likely have a few articles that remain popular with readers. In those cases, you already have – possibly unintentionally – evergreen content on your website. Other articles might offer an interesting starting point but aren’t quite complete. Think, for example, of listicles (“5 tips for…”). By expanding your highest scoring listicles to be a full explainer or how-to (something along the lines of 1600 or 2000 words, rather than 400), you can turn your existing content into valuable evergreens. No two evergreen posts are the same. An article about how Athens defeated Sparta (in 400 BC) probably won’t need to be updated. The list we mentioned above, full of the best online stock photography, will need more frequent updates. In fact, Google quite likes it when you update your evergreens once in a while. Whichever format you choose (explainer, how-to, resource page), evergreen content will take longer than an hour to write. Make sure you carve out enough time. First, think about a logical structure and draw lessons from other successful evergreen pieces about other topics. Don’t forget to make the article scannable: every subtitle should explain what that chapter or paragraph is all about. Most evergreen content should be aimed at a general audience (any experts will rather click through on your source links), so be sure to explain any jargon and spend extra attention on the readability of your article. Of course, it helps the discoverability of your article to have a certain keyword density, to use enough internal links, and to use a number of relevant synonyms. But in writing your evergreen article, it’s most important to focus on polished content. Online solutions like webtexttool will help ensure that your content is fully SEO-proof. Does it make sense to focus on evergreen content? Evergreen content can be a helpful addition to your marketing mix. But ask yourself honestly in which ways your subject matter can compete with existing articles on Wikipedia or news sites. Either way, it’s a long-term strategy. Search engine advertising or social campaigns will draw visitors more quickly. But a few pieces of evergreen as an element of your SEO can ultimately deliver a steady stream of visitors to your website.